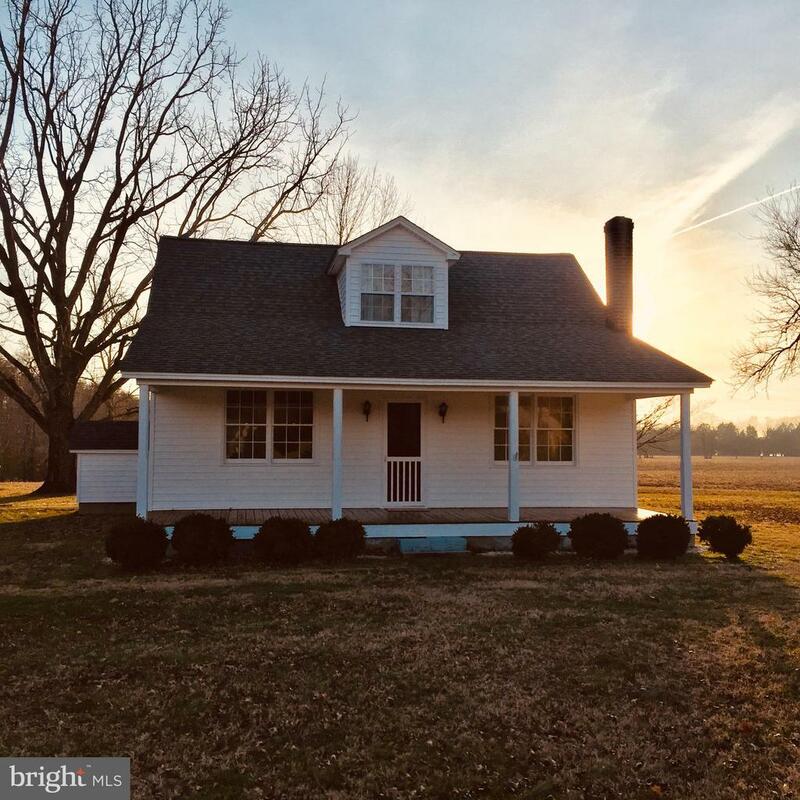 All Leonardtown homes currently listed for sale in Leonardtown as of 04/23/2019 are shown below. You can change the search criteria at any time by pressing the 'Change Search' button below. If you have any questions or you would like more information about any Leonardtown homes for sale or other Leonardtown real estate, please contact us and one of our knowledgeable Leonardtown REALTORS® would be pleased to assist you. 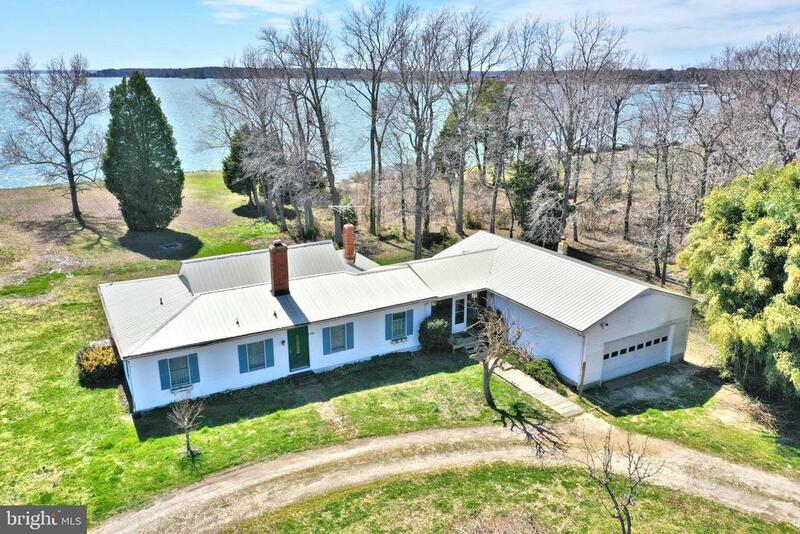 "Such a UNIQUE piece of the property located in the quaint town of Leonardtown ** Water Front farm with 4 bedroom Cap Cod, barns, out buildings, small house, foundation for 3000 + sq ft house, already perced and ready to finish your dream home, pier ..all on over 48 ACRES !! !Beautiful location and just minutes from all your shopping and entertainmentProperty is situated on Cecil Creek..protected from the River ** over 1500 foot of water front..WOW !!! !Make some extra income leasing the property to farm or huntOR>>>>>> just enjoy yourself !" "Amazing opportunity to own 63+ acres on the Breton Bay Peninsula. 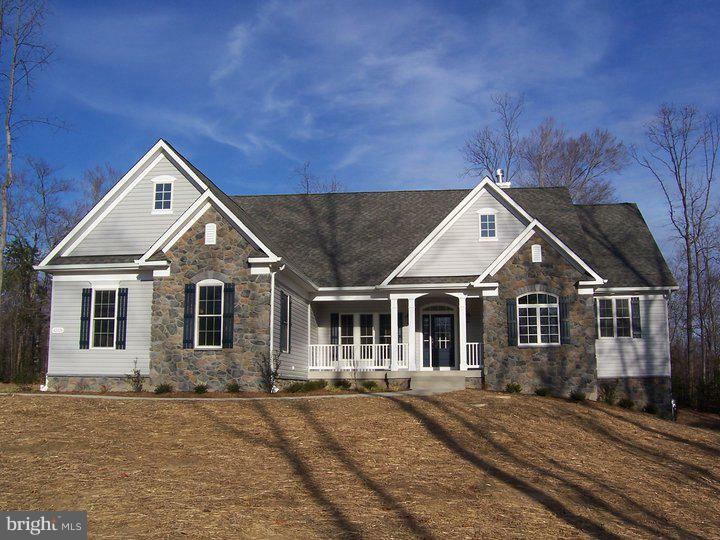 Recently built cottage style home w/ 1st floor suite, open living areas, office, stacked stone fireplace & over sized garage. Plus a large 2 story center aisle barn w/ 2 bedroom apartment. A great place for family, friends or a business. The property offers several outbuildings, miles of board fencing, lighted riding ring & trails. Need help with the down payment? Ask about MARBIDCO"
"Beautiful custom waterfront Cape Cod on 1.29 acres with private pier, 8000 lb boat lift, 2000 lb jet ski lift and sun deck. Enjoy outdoor living at its best including swimming, boating, fishing and many water activities. Grand foyer opens to a formal living room, dining room and office/den. The two story family room has a pellet stove and leads to the gourmet kitchen with upgraded stainless appliances, cooktop, wall oven and center island. There is a large pantry off kitchen, laundry room and mud room. Waterfront views from the family room, breakfast nook and master bedroom. First floor master bedroom with private entrance to outdoor patio overlooking the water. Two separate master closets. Master Bathroom with separate shower & clawfoot soaking tub. Built in safe, central vacuum and laundry shoot. Stamped concrete covered front porch and back patio overlooking the water. 2 car attached garage, 1 car detached garage with additional workshop space, pellet stove, & upstairs storage. Additional covered parking could be used for large motor home or boat storage. 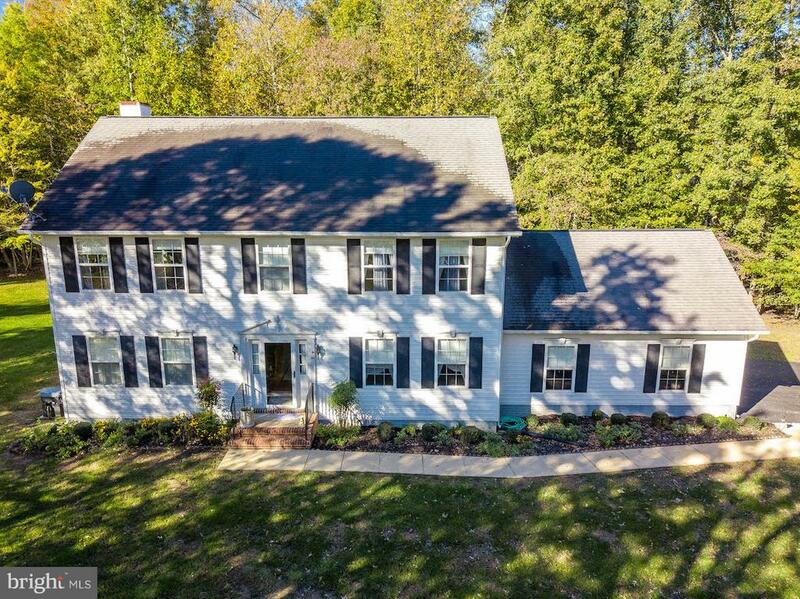 Close to downtown Leonardtown, schools, shopping and more. Call CSS to schedule an appointment today." 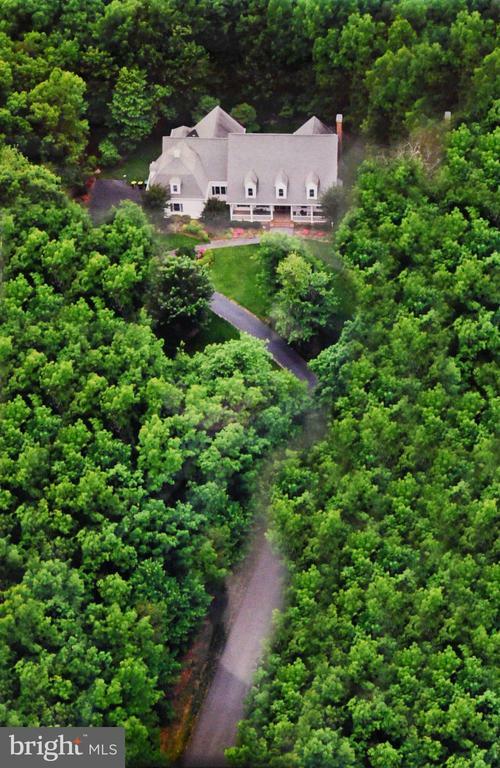 "Gorgeous custom home in Breton Bay nestled on a private, wooded lot approximately 3 acres. This home features an open flow floor plan with perfect space for everyday living and/or entertaining inside and out with over 5,000sf of living space above grade and a fully finished basement. Main level hosts large open Kitchen with outstanding Island + breakfast bar, walk-in pantry, great granite counters, and tons of cabinetry all overlooking beautiful Family Room with two-story stone Fireplace. Custom Library with built-in cabinetry provides desk space for two. Breakfast Room has vaulted ceiling and opens to screened back porch + deck area. Second level provides 4 Bedrooms, 2 Baths (one Jack & Jill). Enormous Owner's Suite with soaring ceiling has sitting area, extensive closet space and luxurious Owner's Bath. The third level provides plenty of space for in-law suite, guests or Playroom and has it's own Full Bath. Lower level features very large Rec Room, Games Room, additional Bedroom, Bath and second Laundry - plus good finished storage space. Wood floors throughout main level and in Owner's Suite. Most of home has been painted/re-carpeted. Join BBCA $50/yr for water/beach/pier access." 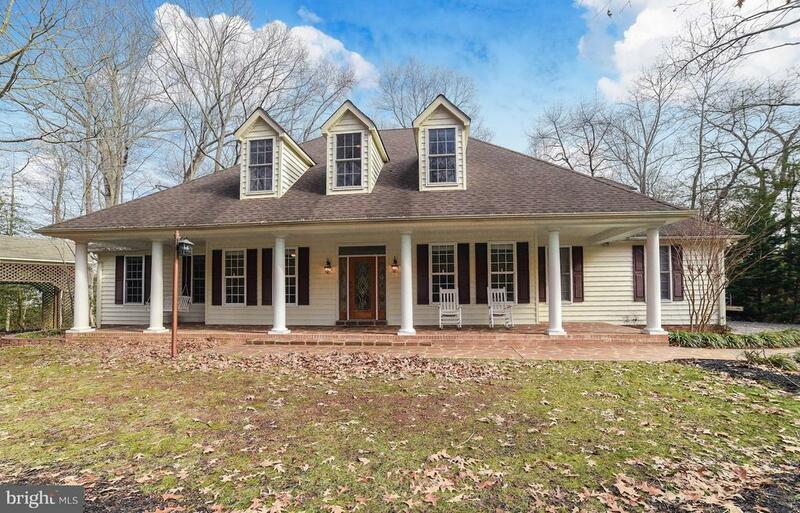 "Gorgeous low-country style Cape Cod home nestled on 2.3 acres of wooded privacy and abundant landscaping in ever-popular Avenmar. 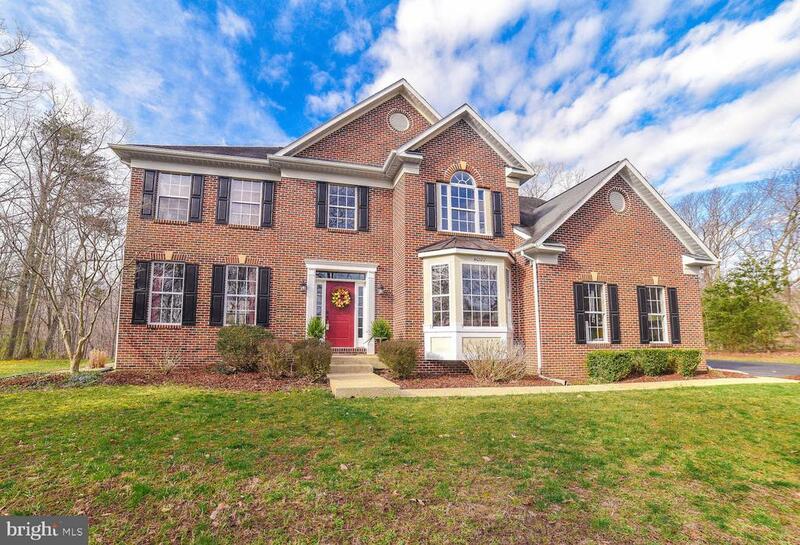 Walk to pool/tennis/water access in the beautiful Leonardtown neighborhood. 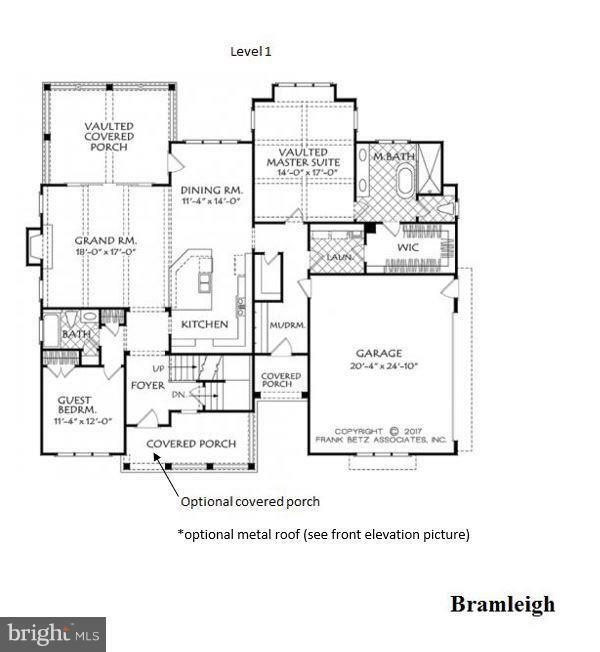 This is a custom-built home with 4500+ sf of living space above grade and another approx. 1800 sf of finished space on the lower level. This sensational home offers large room sizes and plenty of space to spread out! Most of the main level has Brazilian Cherry hardwoods, wonderful open Cook's Kitchen open to sizable Family Room with gas fireplace, bright and cheerful Sunroom, formal Living and Dining Rooms and fabulous Laundry. First floor also offers the Owner's Suite which has a gas fireplace, large Owner's Bath with huge shower, and two large walk-in closets. Easy access to the ample screened porch from the Kitchen, Sunroom and Owner's Suite. The second floor features three enormous Bedrooms (one with enSuite Bath), two Baths, open Study/Reading area, and a great upper level Office/Study (currently used as bedroom #5). Dual staircases lead to the second floor. The lower level is tremendous fun! How about a Theater and Games Room, Hobby Room, Bath and Canadian-style cabin room which leads to the lower level stone paver patio. Invisible fencing on entire yard. So much to offer new loving owners. Home Warranty." "TO BE BUILT on 2+ acre lot in up-scale community, with high speed Internet.main level master suite, and a two-story foyer and family room. 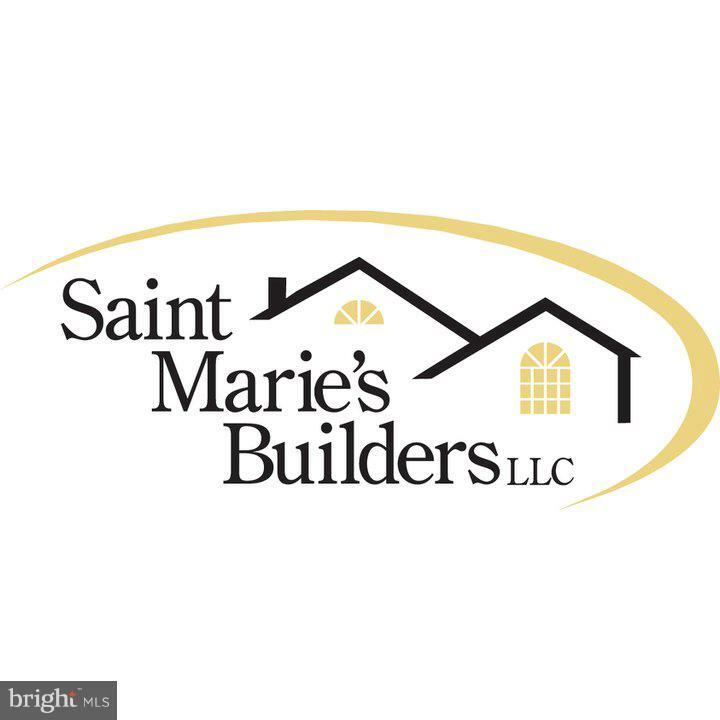 Additional features include covered front porch, attached 2 car garage and unfinished basement Builder will build your dream home with your construction loan. 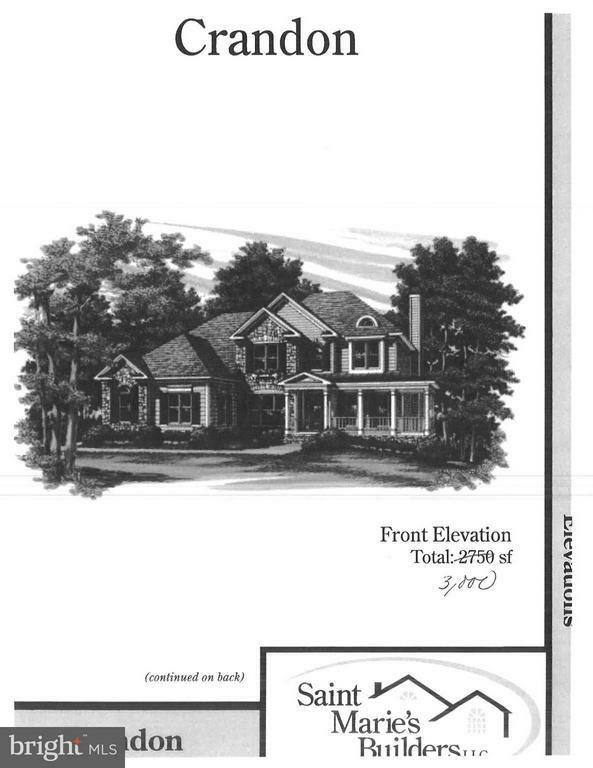 Build your dream home on a private lot with your floorplans or ours, just outside of town." "Private lot in beautiful Avenmar Community. 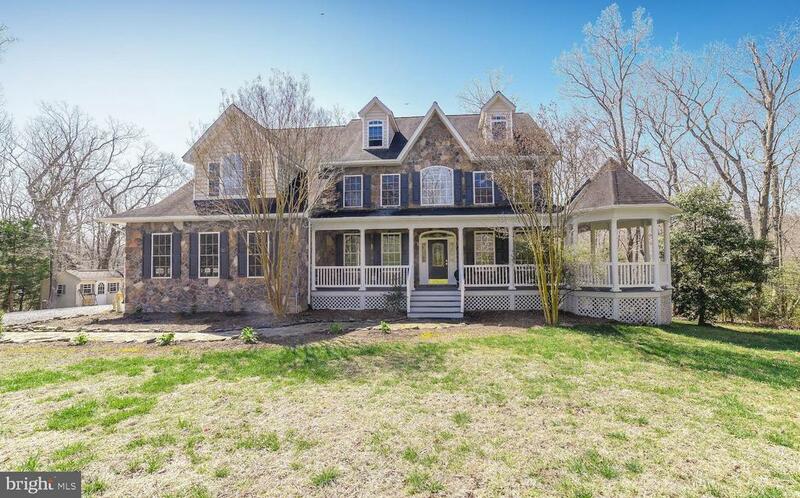 4 Bedroom, 3.5 Bath nestled on a 2.84 acre Water privileged with club house, pool, tennis courts, boat ramp and dock with kayak storage, playground, horse trails, barn, riding. Formal living room and dining room. Gourmet kitchen with granite counters, library/office, wood burning fireplace, wood floors on main level, master bath with separate shower, walk in closet, and sitting area. Basement with rec room. Multi level deck overlooks quiet backyard. 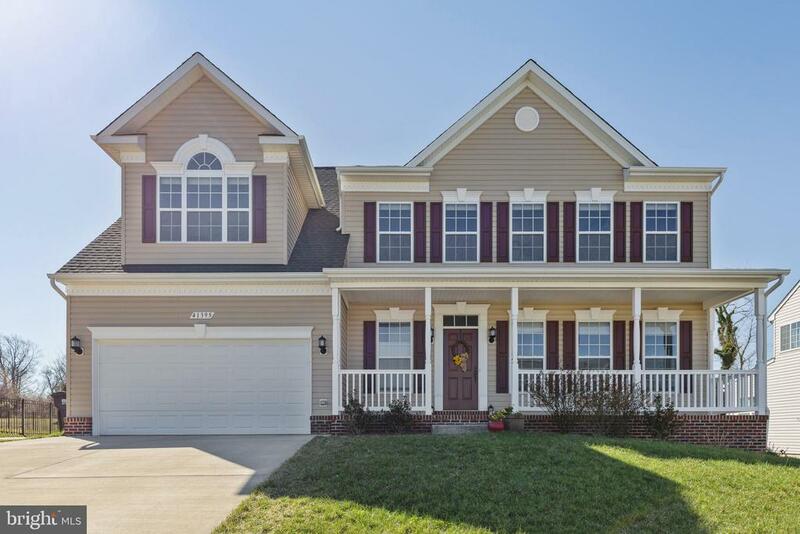 New front door, new back door, Added molding in the office, new light fixtures, in entry, dining room and kitchen, new double oven, new granite counter tops, new carpet and flooring in family room, new shower in master bath, molding added to half bath on main floor." "Nearly 5,000 finished sq. ft. of magnificent living! 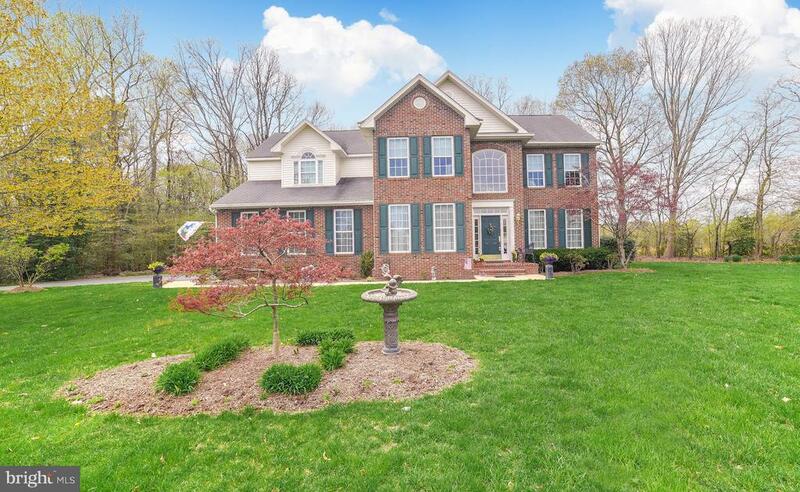 Custom-built Brick and Cedar Colonial on over 3 acres at end of cul de sac in desirable Chestnut Ridge. 5 Bedrooms. 4.5 Baths. Main level Owners Suite with Spa leads to Deck. Gourmet Kitchen. Gas FPs. Hardwood and Ceramic Floors. Walk-out Basement with full Bath.Upper lvl 2nd Master & Library. Floor plans, location drawing and details available." "Pre-Appraised - April 2019 - Beautiful home resting on .64 acs. 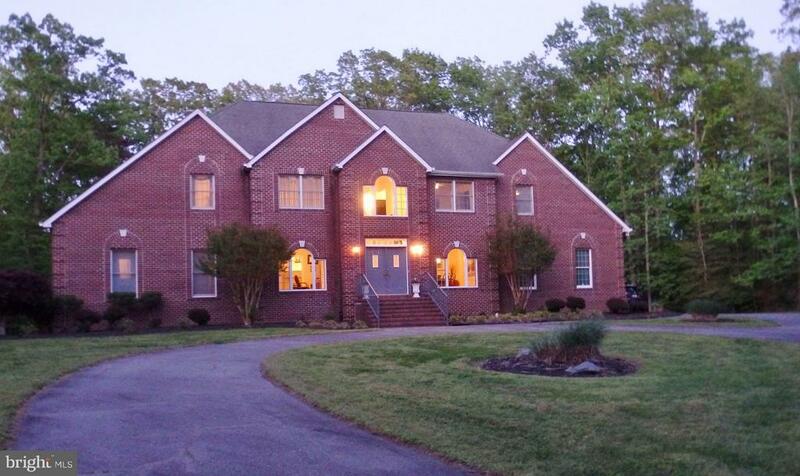 with 4 bedrms, 3.5 baths, Formal Living and Dining Rms,Library with built ins, FamRm with Fireplace, Sun Rm, Lg. eat in Kitchen with lots of cabinets and storage, Exercise Rm.,Office. Laundry Rm., Sewing Rm., Gift Wrap Rm.,Furnace storage Rm., Lg. unfinished storage area in Lower level. Other features: Underground Sprinkler System, Elevator, Generator, Patio, Shed, Double Jazz. Tub and Lg. Walk in Closet in Master. Please make appointment to see this home. 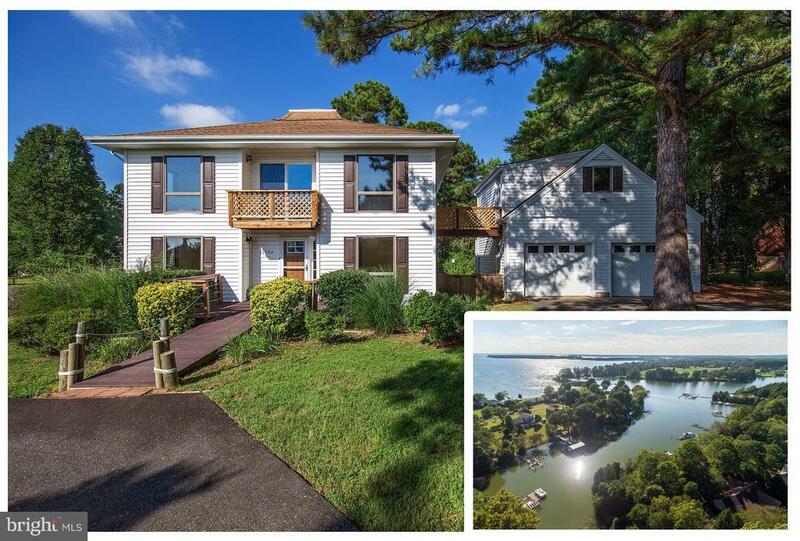 Thanks"
"Breton Bay Estates Waterfront home on Cherry Cove Creek with private pier and two electric boat lifts. Fully fenced rear private yard on cul-de-sac location with peaceful water views. Large rear deck connects to open concept on upper level. Beautiful natural light throughout with large skylight feature on upper level; granite counters in the kitchen and entry level bedrooms." 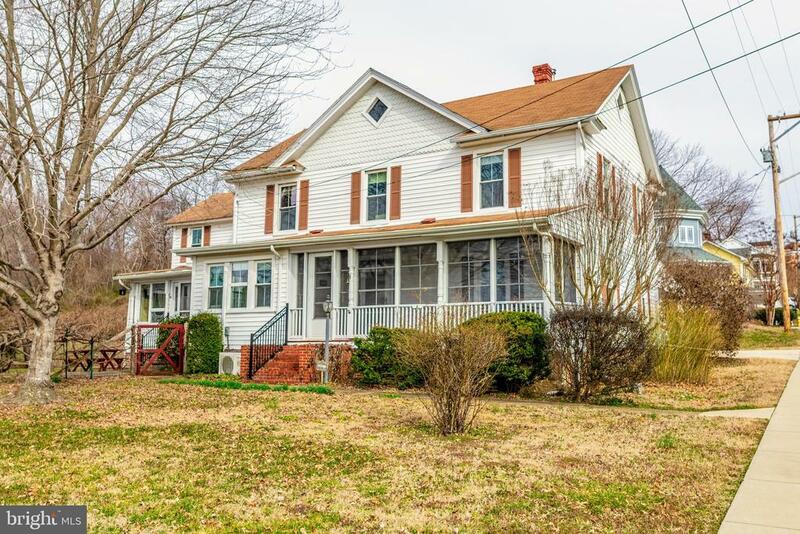 "Wonderful Historic home in the heart of Leonardtown. Minutes to the wharf area with park and facilities. View of the water from many areas of the home including the screened in porch, office, kitchen and bedrooms. Minutes to the town square and shopping and restaurants.The original home was on land of the Key family, (Star Spangled Banner) and was either build by them or Captain Charles Norris, river boat captain, prior to the Civil War. The first historic record is a surveyor~s plot made by John F. Wathen in 1857. The house was significantly renovated on 1908 by D. B Johnson in 1908 by totally incorporating the originally the one and half story house into the present two story one. Owner has done many updates since his purchase in 1972. Five large bedrooms with 3 full baths. 2 staircases for easy use. Main level has office and beautiful foyer with formal living and dining areas.Hardwood floors through out all of the home. 2 car carport for parking. Sheds. Oil heat with wood burning stove as a back up system.Newer A/C system installed in last few years. Kitchen is large and has a great layout including a breakfast area and door to patio and fenced in yard. Double lot combined so lots of space!Flowering Cherry tree like the ones in DC at the Tidal Basis as well as a Sugar Maple, a Pin Oak, a Weeping Willow and a Black Walnut too are part of the landscaping. Near Breton Bay Golf Course too. Come and see today!" 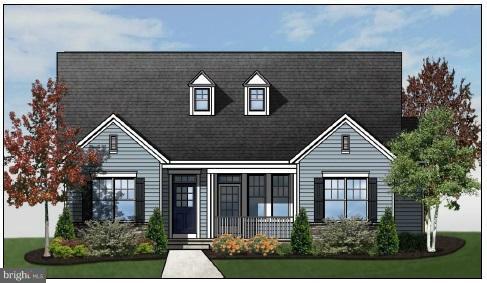 "Next Inventory Home: WICOMICO Floorplan: Summer 2019 Delivery, Hardwood Foyer/Dining Room/Kitchen/Breakfast Nook, SS Appliances w/Double Wall Ovens, Upgraded Cabinetry, Granite at Kitchen, Butlers Pantry, Mud Room, Walk-In Pantry, Sep. DR, Office, Front Porch, Tray Ceiling at Owner's, Garage Door Opener, Recessed Lighting, Oversized Garage, 2nd Floor Laundry. Community Amenities: Pool, Clubhouse, Tennis/Pickle Ball Court, Basketball Court, Playground, Walking Trails." "WELCOME HOME! 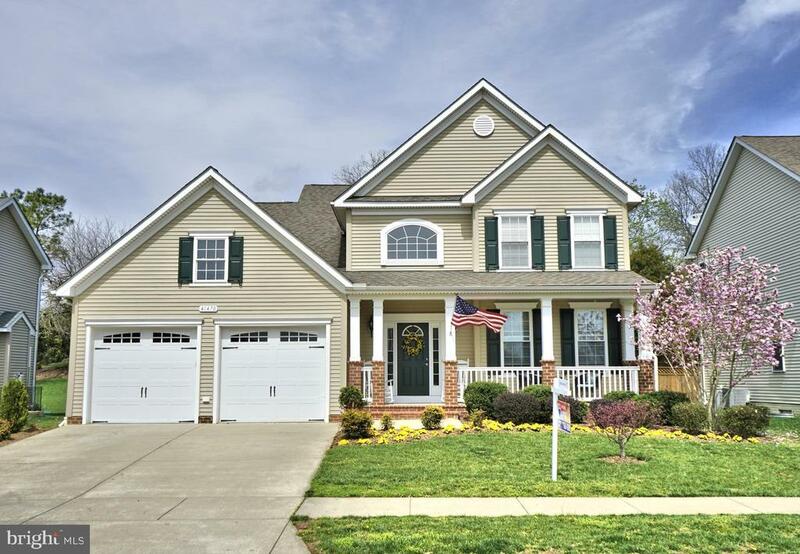 Beautiful Potomac Model in sought after Leonard's Grant. Dramatic 2-story Entry and Great Room with floor to ceiling windows. Main level Owner's Suite with luxury bath, 2 walk-in closets, a private walk-out onto rear deck to Hot Tub. Spacious Gourmet Kitchen with Upgraded Maple cabinets with soft close feature, granite countertops, backsplash, pantry, table space, and a separate formal Dining Room. Relax and unwind on your screened porch off the kitchen. Upper level offers 3 large bedrooms and a full bath. Finished lower level boasts a great place to hangout with friends and family. A Home Theatre and Rec Room, a 5th Bedroom and Full bath, along with a huge storage room. This home has an additional 2 ft. extension on all 3 levels along the complete rear of home for even more extra living space. The surrounding gardens have been freshly landscaped for Spring. Leonard's Grant is a Master Planned Community with pool, clubhouse, open greens, sidewalks, playgrounds, tennis court, basketball court, and walking paths. Close to Historic Leonardtown Square with the waterfront, quaint shops, restaurants, and parks. Children in the Leonard's Grant Community can walk and ride their bikes to Captain Walter Francis Duke Elementary School. Another convenience coming soon to the LG community is the Brand New Leonardtown Library which is currently under construction." "Super Clean Belmont model is ready for new owners! 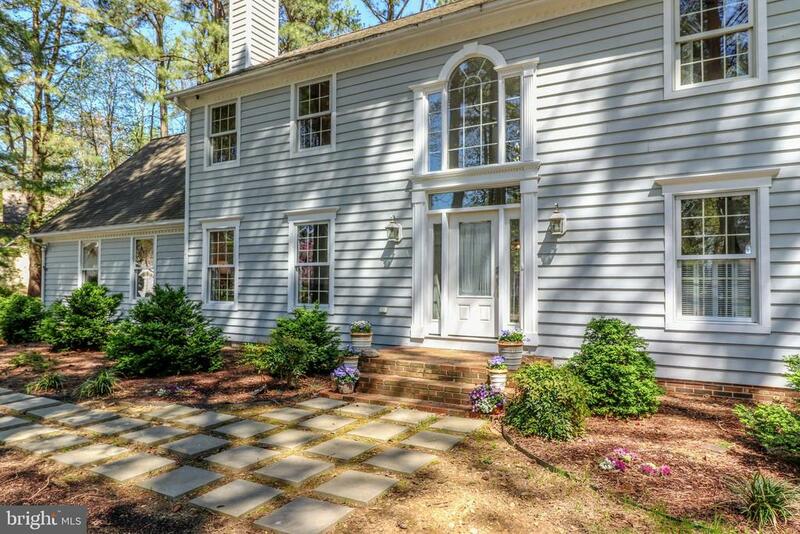 This updated home has an open circular landing to access the bedrooms! Hardwood floors throughout main level! Granite counter tops, tiled backsplash in Kitchen! Family room with fireplace opens to large deck w/vinyl railings, fenced yard! Separate dining room w/bow window! Formal living room or office on main level with double glass doors! Huge master suite with his/her custom closets, marble tiled master bath w/tiled shower, whirlpool tub, double vanity & private toilet. Nice sized bedrooms! Hall bath has tiled walls & floors! Lower level complete with family room w/wet bar, wine chiller & cherry cabinets! Office space w/wood floors! Theater room is completely wired for sound & picture. Walk up steps to back yard. Main level powder room & mud room- laundry! Large 2 car garage! Don't wait to see this lovely home!" "Why wait, move in ready Grand Haven in Clark's Rest community. Featuring Hardwood in Foyer, DInning room, Kitchen. Huge walk-in pantry. Gourmet Kitchen! Stainless Steel Appliances. Laundry on 2nd Floor. HUGE Owner's Closet. Sitting Room at Owner's Suite. Upgraded Tile @ Owner's Suite. Finished Lower Level Room, Rec.Room and Full Bath. Gas Fireplace." 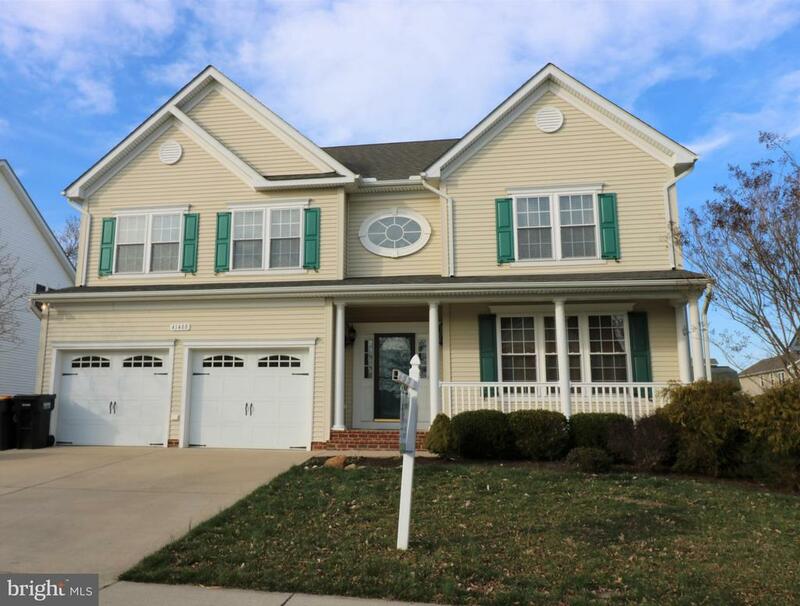 "Awesome 4 bed 2.5 bath Colonial in wildly popular Forrest Farm neighborhood. 2.5 acre corner lot in spacious first phase of Forrest Farm. Large unfinished basement, hardwood floors throughout main floor, large kitchen, attached garage, updated HVAC, water heater and oil furnace. Great home under 450k, will not last long!" 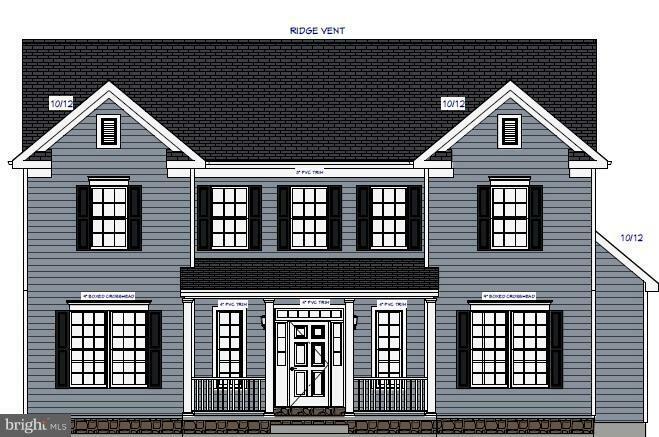 "Brand New Lusby Floorplan! Marrick's newest Rambler has a Rear Load 2-Car Garage. It includes Granite at the Kitchen, Upgraded Cabinets, Stainless Steel Appliances, Finished Lower Level Rec. Room, Den and Full Bath, Hardwood at Foyer, Great Room, Kitchen. Includes a rear and front patio. 2' Owner's Suite Extension. Community Amenities: Pool, Clubhouse, Courts, Playground." "Beautiful home in serene setting! This home features 5 bedrooms, 3 1/2 bathrooms, gorgeous hardwoods floors, updated kitchen with stainless steel appliances, separate living room and dining room, and open family room. Freshly painted. All of this surrounded by mature trees and beautiful landscaping with spectacular golf course views! 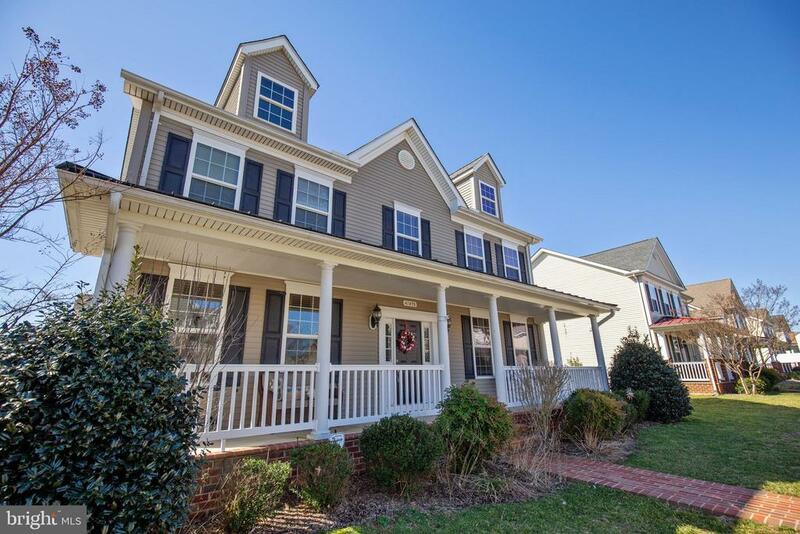 Close to shopping and historic downtown Leonardtown. This one is a must see!" "This is the one. Sought after Leonard's Grant will not last long. Mattingly model with hardwood floors, custom gourmet kitchen with stainless and granite. Master suite with optional dual show-head spa shower and soaking tub. Top rated schools and fantastic location." 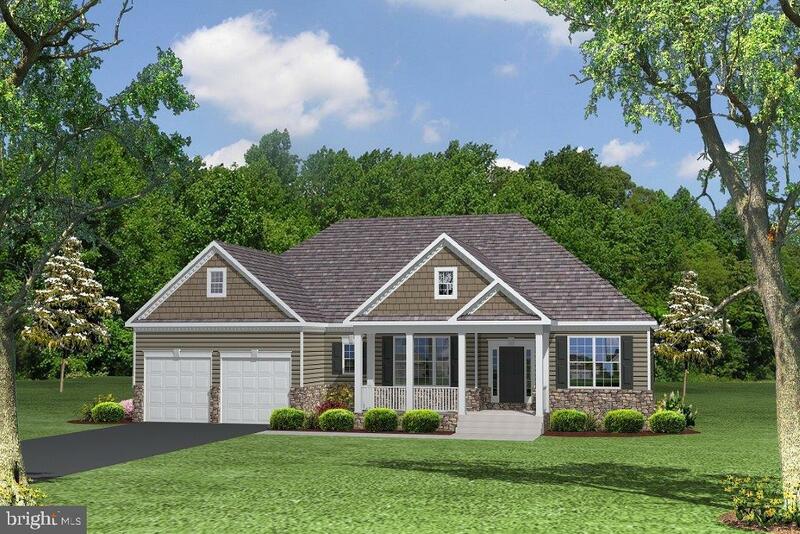 "**TO BE BUILT** Quality Built Homes' newest rambler to be featured in Meadows at Town Run! This is one leveling living at its' finest. Complete with a split bedroom floor plan...a large master suite on one side and the other 2 bedrooms on the other side of the house! Huge galley kitchen that opens to the family room. A sunroom like breakfast area that walks out to a covered porch. What more can you ask for? Get in soon while it's still pre-construction pricing!" 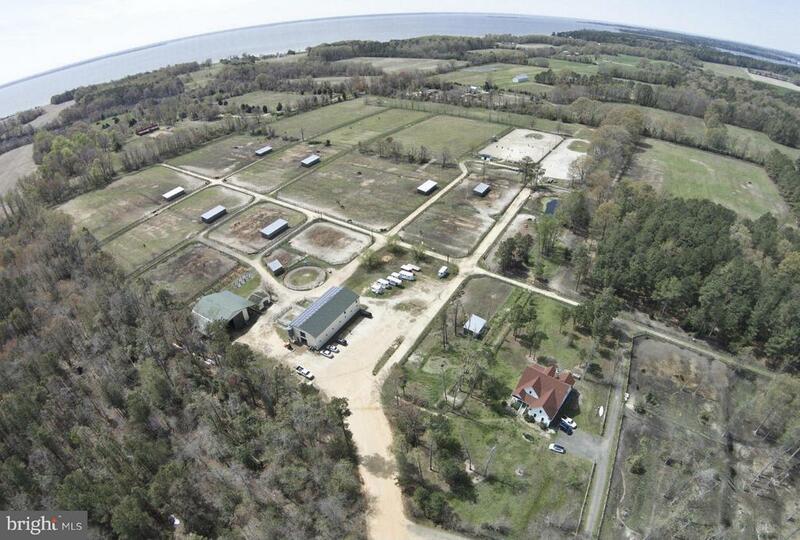 "Located in Leonardtown, resting on 1.24 Bayfront acres. Newer roof just installed in 2018. The kitchen is updated with Hickory cabinetry, corian counter tops and stainless steel appliance. Family room is located off kitchen with wood stove. There is a bonus across from kitchen through Breezeway/Screened Porch which would make for a very nice future master suite with access to rear deck and amazing bay views. Currently master bedroom is located off family room with full bath. The other two bedrooms relocated off kitchen and family room as well. There is a breezeway/screened porch off kitchen that could easily be closed in for additional interior space or left as is. Nice level yard and conveniently located close to beaches, shopping, dining, and downtown Leonardtown Square. Home is being sold as is and is currently occupied by tenant at month to month basis."